Kylie Stillman, Local Branch, 2016, hand-cut paperback books, timber, saw horses,161 x 245 x 123 cm, installation view. Courtesy of the artist and Utopia Art Sydney. Commissioned and created with assistance by Hawkesbury Regional Gallery. Photograph: David Marks Photographer. Kylie Stillman, The Opposite of Wild, 2017, installation view, dimensions variable. 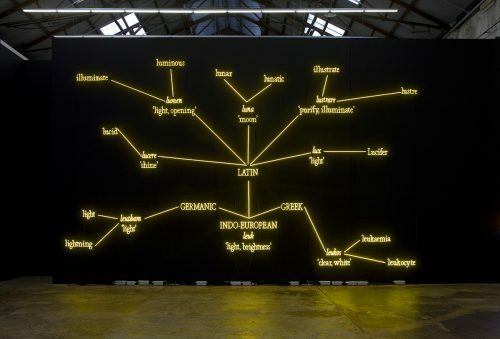 Image courtesy of the artist and Utopia Art Sydney. Photograph: David Marks Photographer. 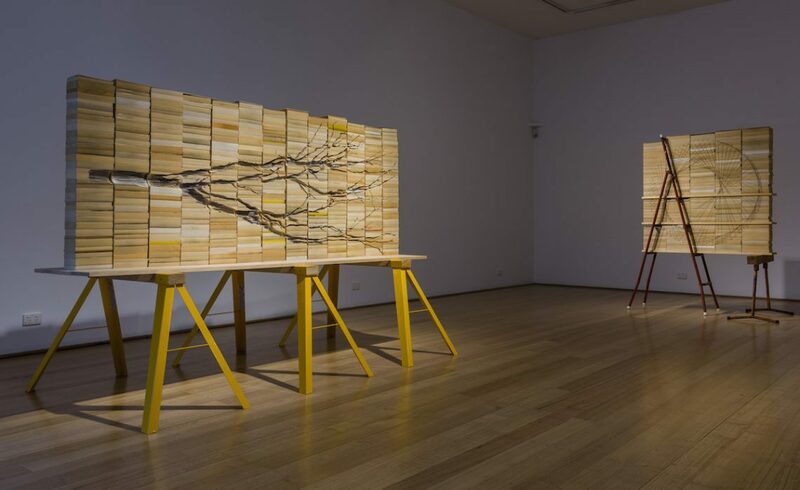 [Left to right] Kylie Stillman, Local Branch, 2016, hand-cut paperback books, timber, saw horses,161 x 245 x 123 cm, installation view. 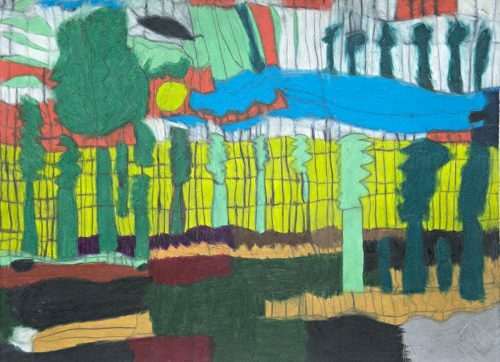 Commissioned and created with assistance by Hawkesbury Regional Gallery. 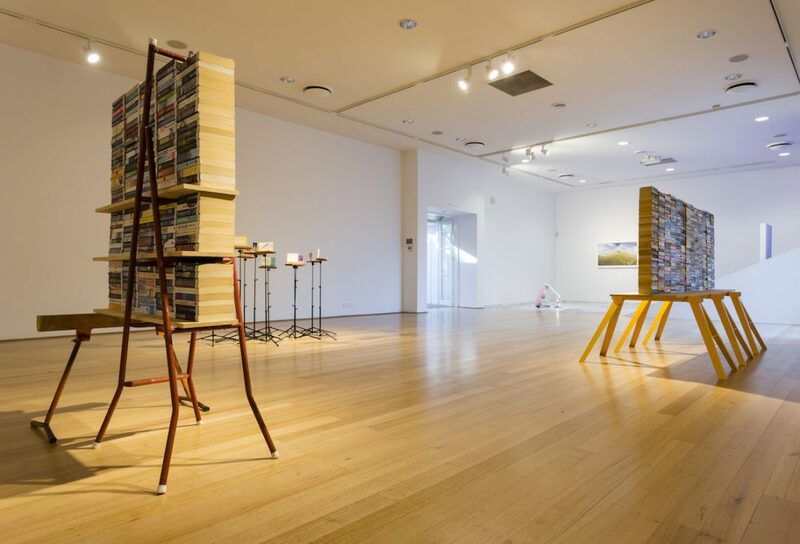 Kylie Stillman, Masking the Seam, 2017, hand-cut paperback books, timber, saw horse, ladder, 182 x 144 x 80 cm, installation view. Courtesy of the artist and Utopia Art Sydney. Photograph: David Marks Photographer. 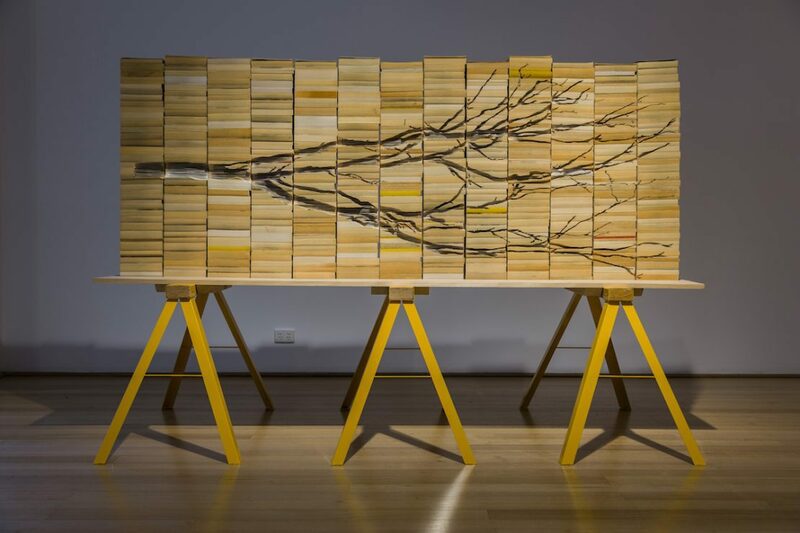 Kylie Stillman, Masking the Seam, 2017, hand-cut paperback books, timber, saw horse, ladder, 182 x 144 x 80 cm, installation view. Courtesy of the artist and Utopia Art Sydney. Photograph: David Marks Photographer. 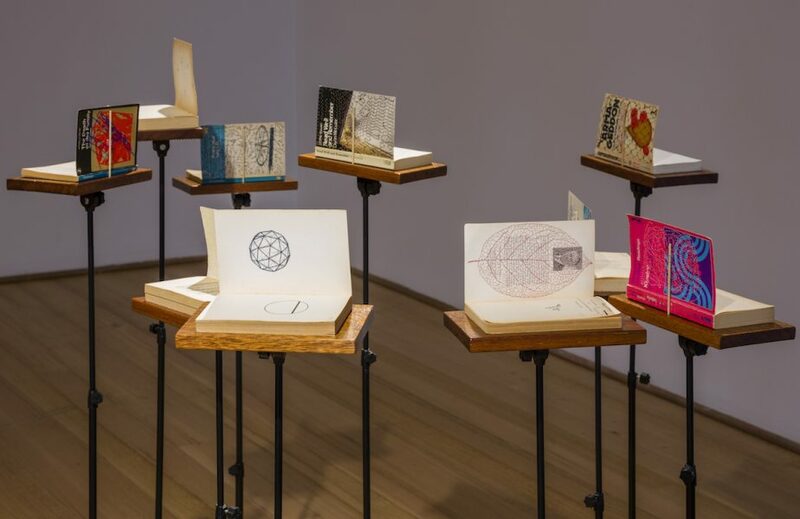 Kylie Stillman, Morning Pages, 2017, Installation of ten embroidered books on timber bases and music stands. Cotton thread, paperback book, 15 x 12 x 19 cm each, installation view. Courtesy of the artist and Utopia Art Sydney. 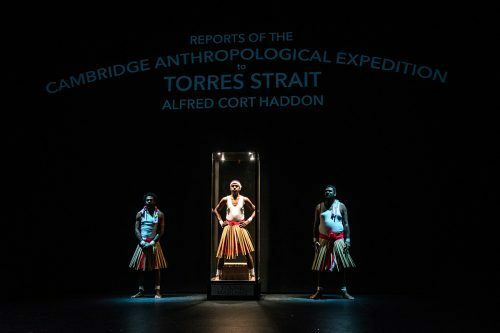 Supported by the City of Melbourne Arts Grants Program. Photograph: David Marks Photographer. 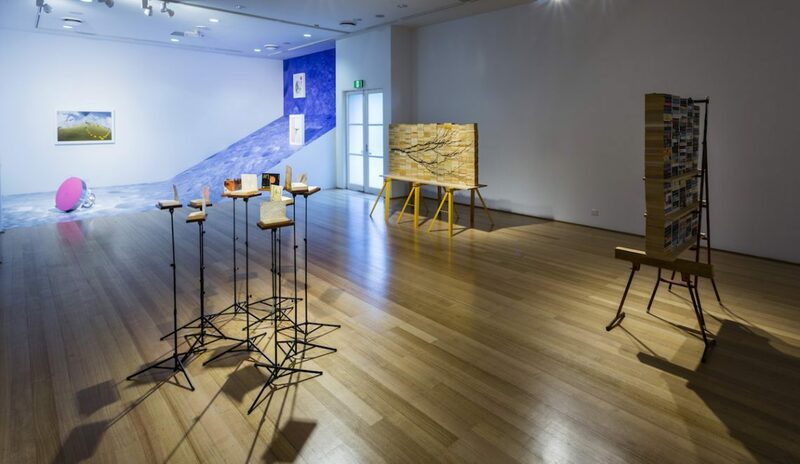 [Left to right] Kylie Stillman, Masking the Seam, 2017, hand-cut paperback books, timber, saw horse, ladder, 182 x 144 x 80 cm, installation view. 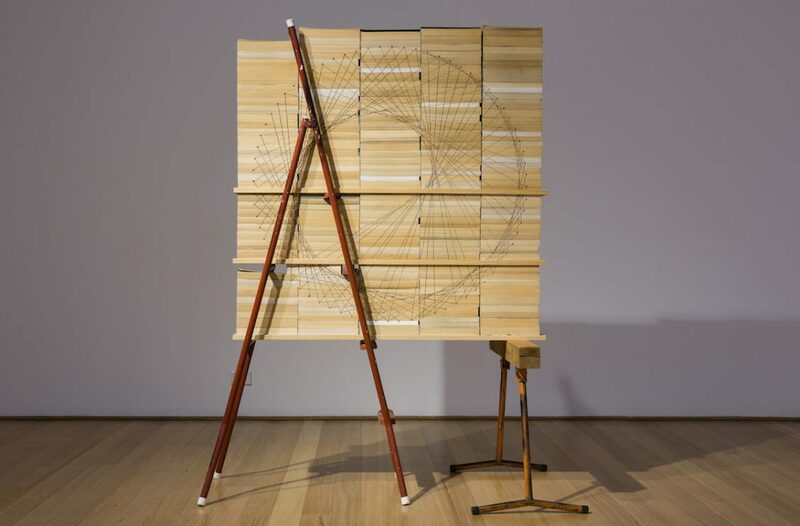 Kylie Stillman, Morning Pages, 2017, Installation of ten embroidered books on timber bases and music stands. Cotton thread, paperback book, 15 x 12 x 19 cm each, installation view. 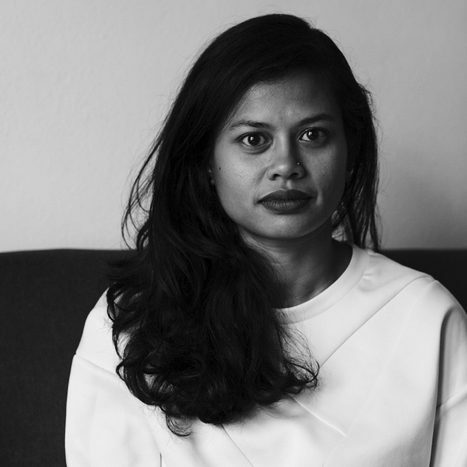 Supported by the City of Melbourne Arts Grants Program. Kylie Stillman, Local Branch, 2016, hand-cut paperback books, timber, saw horses,161 x 245 x 123 cm, installation view. Commissioned and created with assistance by Hawkesbury Regional Gallery. Courtesy of the artist and Utopia Art Sydney. Photograph: David Marks Photographer.